I bet few of us thought that making paper airplanes as children could one day save a life. A new paper drone taps the paper folding skills of its engineers and adds modern technology that could one day aid relief organizations after disasters. 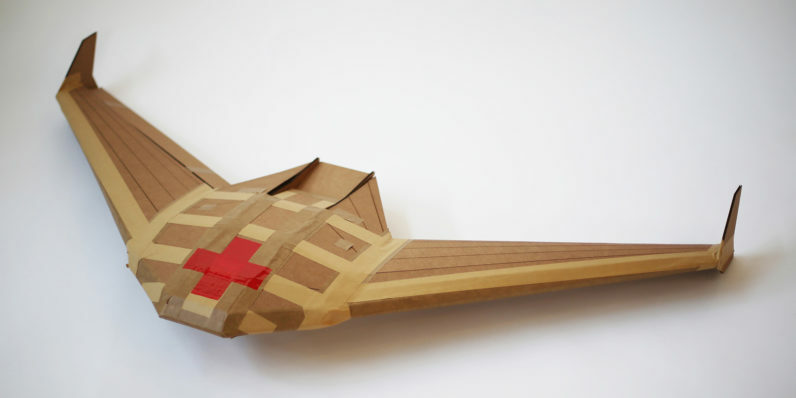 Funded by a DARPA grant, the paper drone from Otherlab — a San Francisco-based aerodynamics research firm — uses lightweight materials and smart design to create a disposable transport vehicle capable of carrying medical supplies where they’re needed most. Unlike most drones, this one isn’t designed to make a return trip. Instead, it shaves precious ounces and pounds by removing inessential items — like the motor and a battery big enough to power its return. With fewer mechanical parts, Otherlab hopes rescuers can utilize the additional payload capacity can be used to carry more essential supplies. Because of its lack of a motor, the drone does require another aircraft to get it airborne. Once in the air, it uses an onboard computer and sensors that adjust its route as needed — and aid in its landing. After touching down, the reduced cost of its materials make the glider disposable, a single-use drone. Otherlab’s design is also super portable. Each comes in a cardboard flat pack and is designed to be easy enough for anyone to assemble, no advanced degree required.